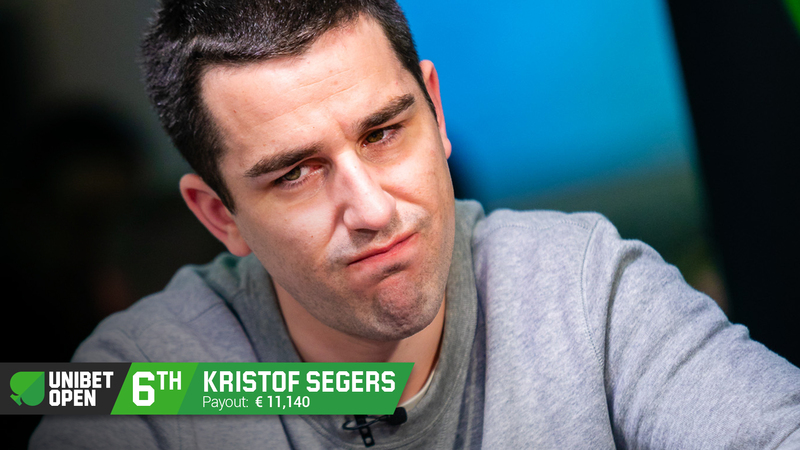 On the button, Kristof Segers shoved all in for 595,000 and Julien Stropoli called in the big blind. 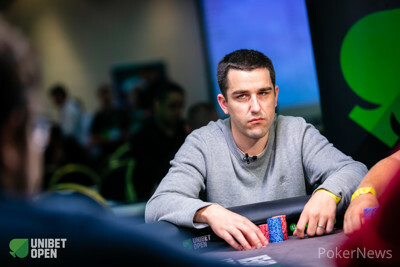 The :::5h:::8d:::9s flop kept Segers in the lead, and the :::2h on the turn was safe for him as well. Standing up, Segers awaited his faith as the river was dealt. The river was the :::Qh and Segers covered his face, turned away from the table and took a few steps. He then walked back to the table and shook his tablemates’ hands as he exited in 6th place.